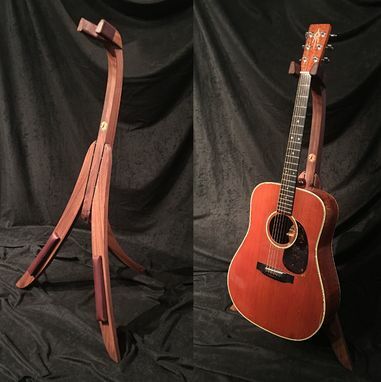 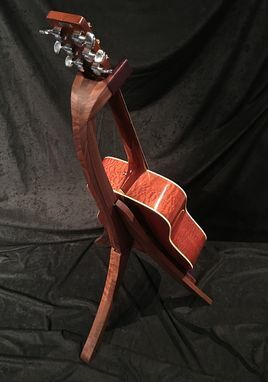 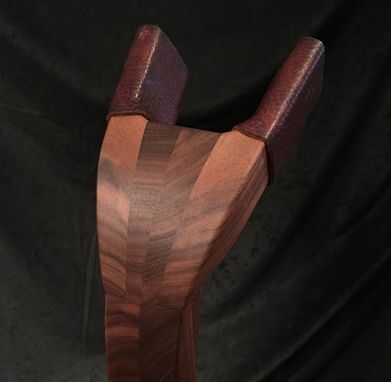 Handcrafted from premium domestic Black Walnut hardwood, this folding guitar stand has a strong, yet elegant look that will complement your guitar's natural appeal, whether on stage, or in the studio. This patent pending hanging-type guitar stand is designed to hold your valued instrument securely from the headstock end of the neck. 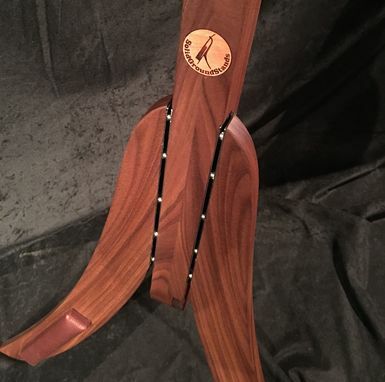 It provides a 3-point stance that remains stable on an uneven surface. 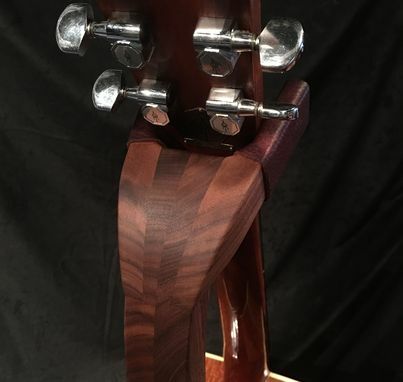 Rare earth magnets assist with holding the stand in either its closed or open position.